The Icon St Kilda Melbourne Australia is set to become (as the name suggests) a truely iconic building within its local context. Nicnamed the “Livable Lego Tower” this building is composed of serviced apartments, recreational facilities, private dining areas and gym. Designed by Jackson Clements Borrows Architects, the building is composed of a series of coloured boxes, with each box containing its own unique vertical community. 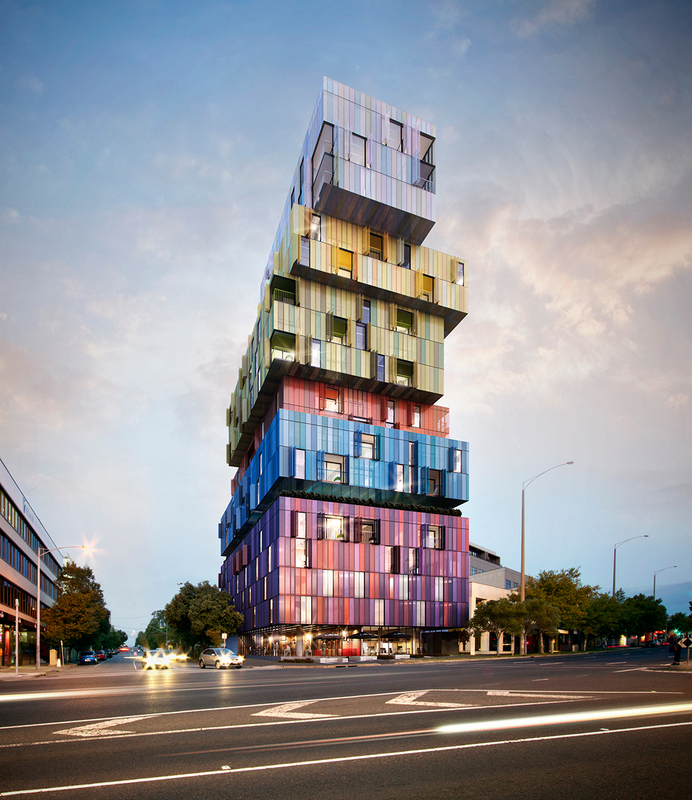 The boxes are clad in a perforated metal cladding and coloured by inspirational artist and callaborator Matthew Johnson. The interior design of the apartments are truely exceptional, in particular, I like the way the external cladding fabric has been used internally on the ceilings, beautifully detailed. I look forward to visiting this building one day.